The Paris Aquarium has welcomed a new addition to its tanks - 45 species of mesmerizing, fluorescent jellyfish as part of an exhibition aiming to highlight the impact of global warming on marine life. Jellyfish are thriving as sea temperatures rise around the world, boosting the growth of plankton on which the creatures feed, according to aquarium staff. 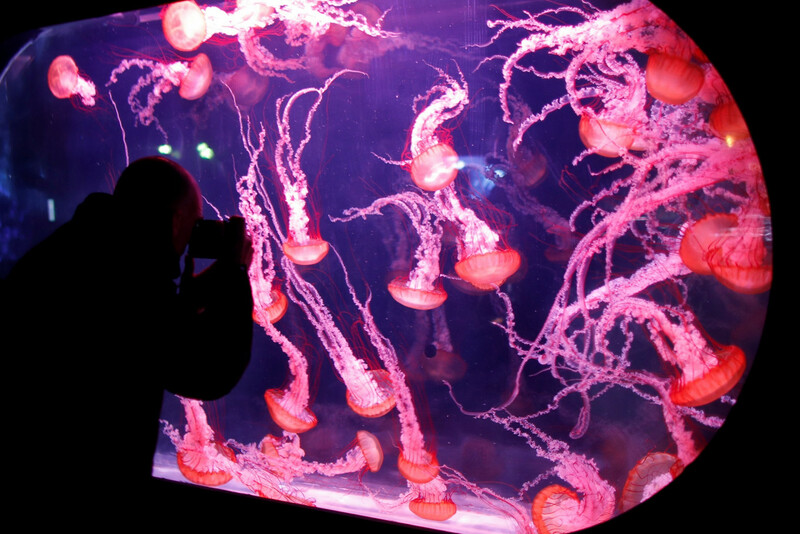 "There are more and more jellyfish because, what used to regulate the jellyfish population was the variation of temperature or in certain parts of the world the seasonal variations in salinity caused by monsoons," Paris Aquarium director Alexis Powilewicz said.